S Blade 90 Green on Green has a 90 ounce face weight, and the blade is 1 3/4” in height. The color is an olive/emerald blend with all green thatch. The all green color combination gives it a luxurious green look to it. This is an S-Blade, which is an engineered blade designed to have no shine. Unlike flat blades that reflect the entire spectrum of light, making the grass look white, the S-Blade diffuses reflection. With residential artificial grass and commercial synthetic grass from Watersavers Turf, you can be proud of your lawn all year long. Everyone wants to be proud of their lawn. Just like the paint job on your home, it shows the world that you care about keeping your property looking its best. With the S Blade-90 Green on Green, our artificial grass for residential and commercial use, that’s easier than ever. 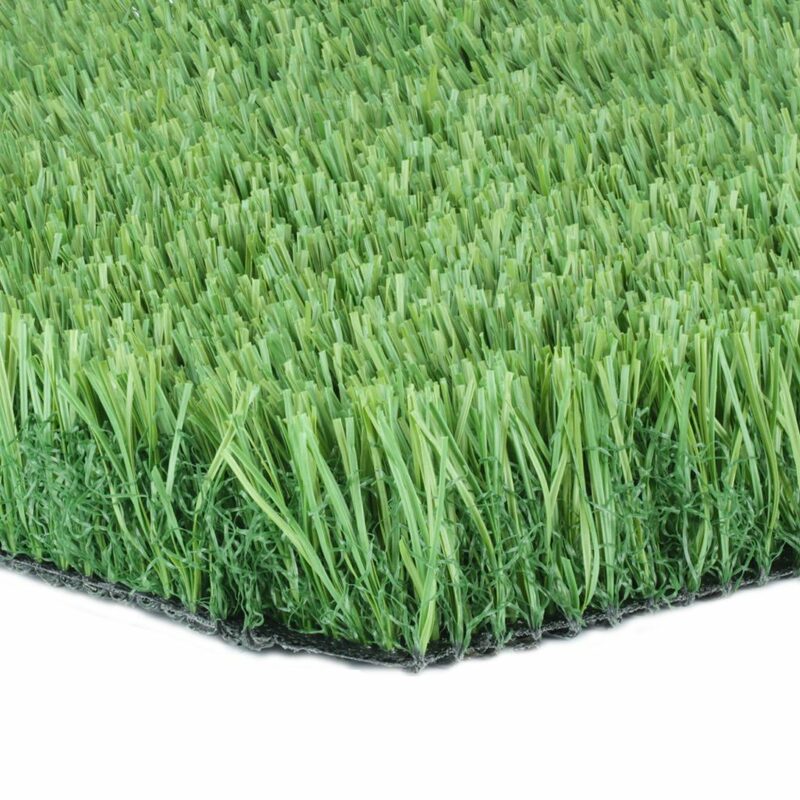 It’s made to look just like real grass with its thick 90 ounce face weight, no-shine blades, and healthy green color. It will always match the look of a lush, thriving backyard. Unlike the real thing, you don’t have to water or mow it. If you’re looking to save on upkeep, it’s a good idea to make the switch. You should be able to relax outside your home and not think about having to fix your lawn. This product makes that possible. This is even truer if you own a business and are trying to draw in more guests. People want to spend time in places that offer them a sense of comfort and peace. A gorgeous yard can have this effect. Now, it doesn’t even need to cost you a lot of money. With this item, you can attract more business without having to funnel extra cash into lawn care tasks throughout the year. To see for yourself just how perfect this product is for your goals, head to a nearby Watersavers Turf location and pick up your free 1’ x 1’ samples. Can’t make it out to us? Not a problem. We’ll ship them to you instead.